It is getting warm enough now for a big bowl of ice cream! Just love my ice cream! 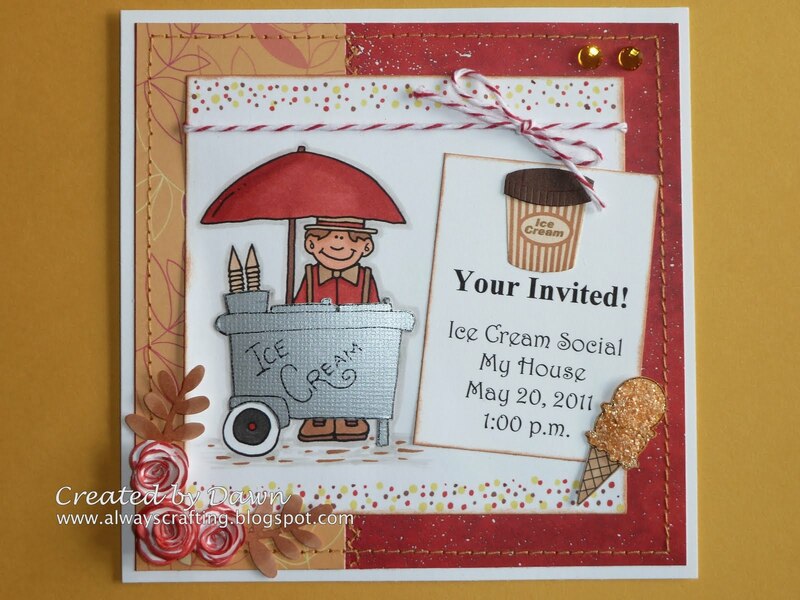 I used a Hambo stamp on this invitation and they make some fun images. Check them out! How adorable! Love the mix of products. Yum! I would like chocolate. 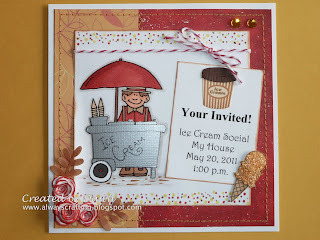 :) Fun card Miss Dawn.